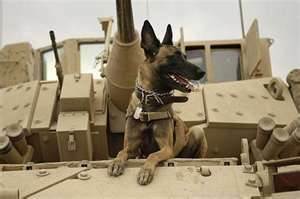 The use of dogs in warfare goes back to ancient times, even as far back as the Greeks, and the Egyptians. During World War I, the Belgians used their Bouviers des Flandres to haul machine guns to the front. In World War II, dogs were used to warn of ambushes and to detect arms caches. 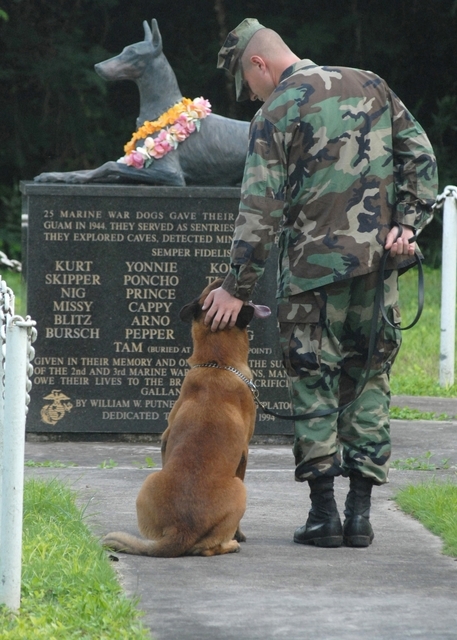 These modern day pictures of a soldier’s best friend are taken at the US National War Dog Cemetery on Guam and on the front of a Bradley fighting vehicle. This entry was posted in In the news, World War II and tagged Bradley fighting vehicle, Memorial Day, war dogs. Bookmark the permalink.